SPW040404 SCOTLAND (1932). 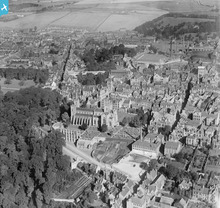 Dunfermline, general view, showing Dunfermline Abbey and Bruce Street. An oblique aerial photograph taken facing north. Title [SPW040404] Dunfermline, general view, showing Dunfermline Abbey and Bruce Street. An oblique aerial photograph taken facing north. Shell of the La Scala cinema after the fire. 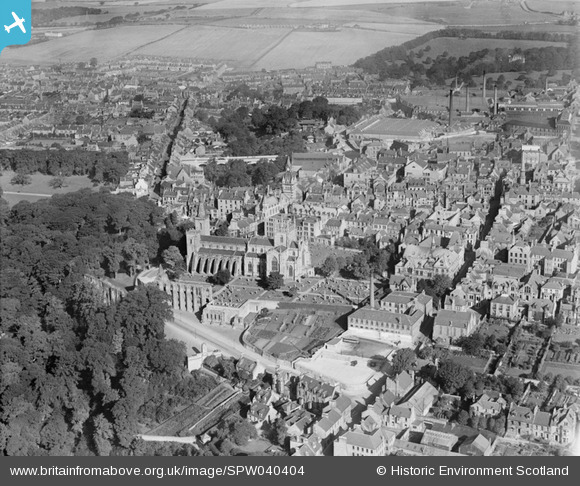 This is an excellent shot of Dunfermline Abbey.